My wardrobe is fall ready with Just One Answer! This beautiful top wraps at the front to the back with a self-tie. I love that it has an open back and cute brown buttons on the sleeves. 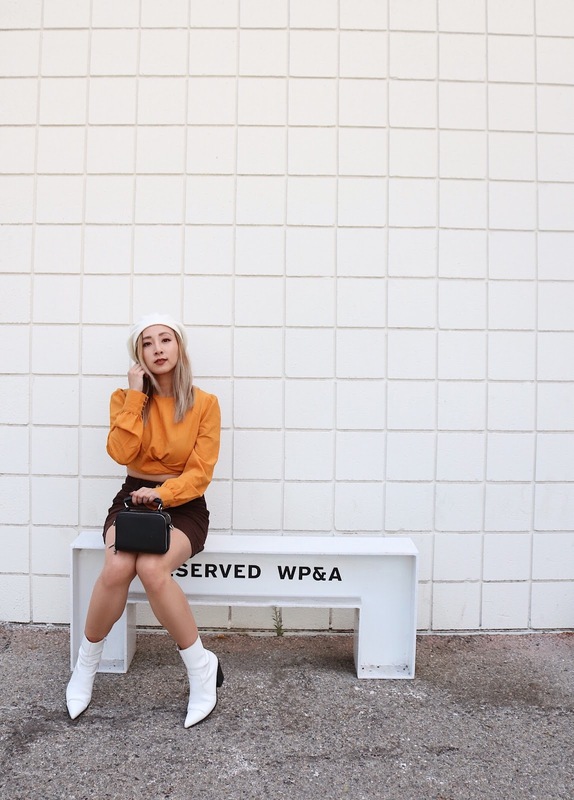 This top only comes in Marigold, which is a beautiful mustard color. omg this outfit is so cute! Love the top.